I see you. There is wonderment in your eyes and a sense of freedom in everything you do. You view the world through a lens of possibility. I admire the way you show up with your entire heart and give it your all. You do not worry about what the world thinks. All that matters is if it is brining you joy. You are passionate about everything you do. When you dance you let go and simply have fun. When you write you print slowly placing your finger after each word to ensure proper spacing. When you hug you hold on tight and lean in. When you smile the entire room lights up. You are not yet clouded by the judgment of the world. You believe there is good in everyone. Without you even knowing it you give others a chance to prove you wrong and they usually end up proving you right. You take risks. You leap. You are unafraid to fall down. You always get back up and just keep on going. It is incredible to watch you learn and grow. To see the way you navigate the world. To watch the way you interact with others. There are moments you hold back taking it all in but then you ease into your comfort and you break free. I love watching you break free. It is in these moments you sprint across the grass playing with the other kids and giggle wildly. You have stories, so many stories. What a precious gift it is when you tell them with others. You share how the moment made you feel and you are sure you don't miss one single detail. You love to lend a hand and help out. You create special spots at the table for everyone. You always want to hold the baby and try your hardest to make him smile. You help your little brother out even when he may be driving you crazy. You have no idea how much joy you bring to the family. Your imagination, your thoughtfulness, your love, your energy. It is felt and makes a huge impact. Never forget this feeling of freedom of completely being you. Stand tall with your head held high, your shoulders back, and your heart open. Let others get to know you. Continue to shine that smile that lights up an entire room. Always choose kindness. And never let the world tell you that you are to tall, to short, not pretty enough, not smart enough, not anything enough because you aren't. You exactly as you are is an incredible gift! Remember this always. You can climb mountains and you will. Sure, there will be some really tough times ahead but you will make it through them. Always reach out to your friends and family and know that I am here for you. You create magic wherever you go. Continue to stay open to the wonderment of it all. Continue to explore, to dream, to grow. And continue to dance wildly! 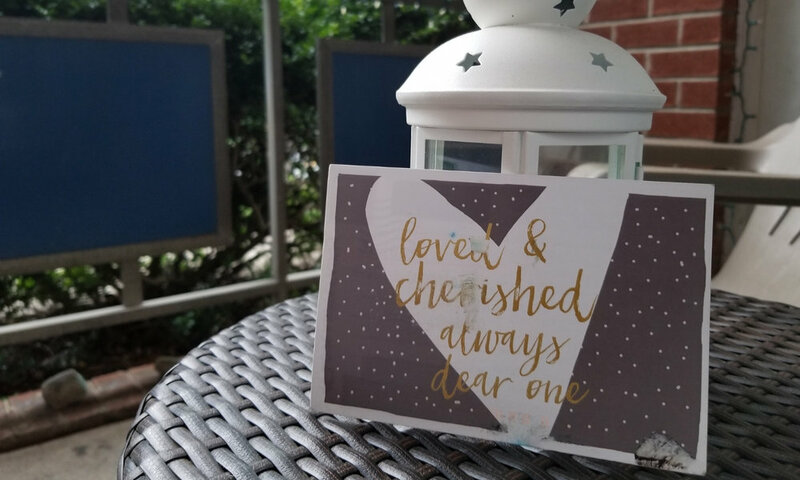 Interested in connecting with someone through snail mail? 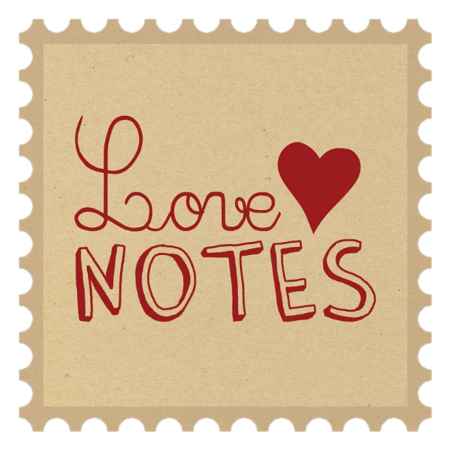 Join the Love Notes Postcard Project. We begin on April 8th. This free three week project connects you with another individuals in the group to send snail mail to. Unsure of what to write, don't worry we got you covered with a weekly prompt to get the pen moving. I invite you to slow down and join in on the snail mail revolution.